Over 40 years old, this handsome Buick was typical of the far-out styling of the Fifties. Big, flashy, lots of color, and loaded with heavy chrome, finned rear quarter panels. Yes, Buick had them, and so did most of the other style leaders of the 1950’s. 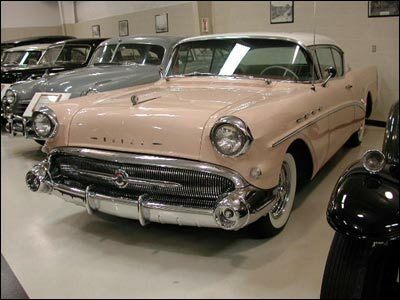 Features of the 1957 Buick Super Hardtop included a powerful V-8 engine, Dynaflow automatic transmission, power steering and brakes, and factory air conditioning. Doesn’t sound so old fashioned does it? This Buick was carefully restored to original specifications and has won numerous first place trophies.